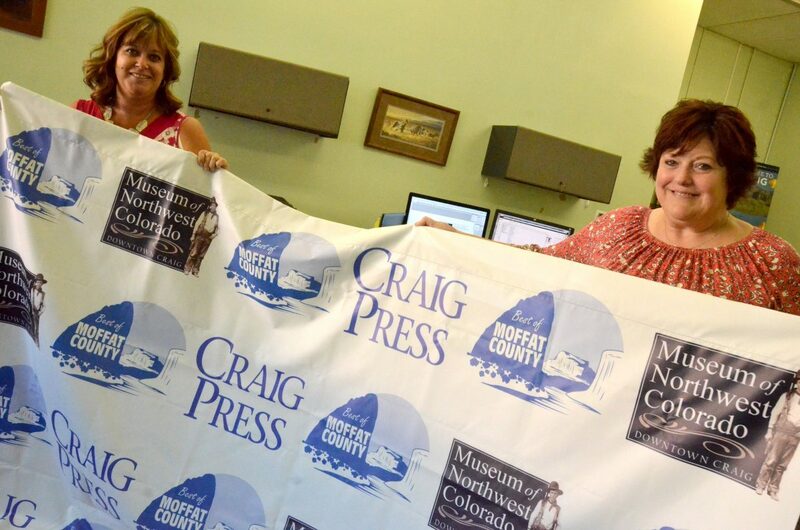 Craig Press Advertising Manager Sheli Steele, left, and Publisher Renee Campbell break out the backdrop that will be used for the Best of Moffat County celebration. 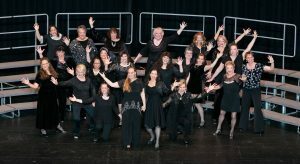 The newspaper will host the event Wednesday, June 27, at the Museum of Northwest Colorado. 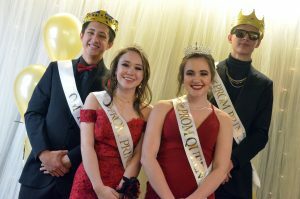 CRAIG — The Craig Press will honor its Best of Moffat County recipients in a whole new way this year. 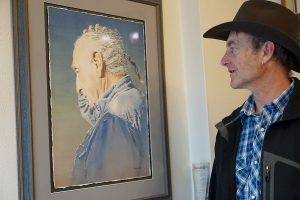 As part of the Best of Moffat County community awards the newspaper provides each summer, the Craig Press will partner with the Museum of Northwest Colorado for a winner’s celebration event from 4 to 6 p.m. Wednesday, June 27, at the museum, 590 Yampa Ave. 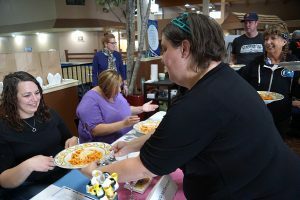 The businesses and professionals who received the most votes as part of the Best of Moffat County awards will automatically receive two tickets for the event, which includes drinks and appetizers. 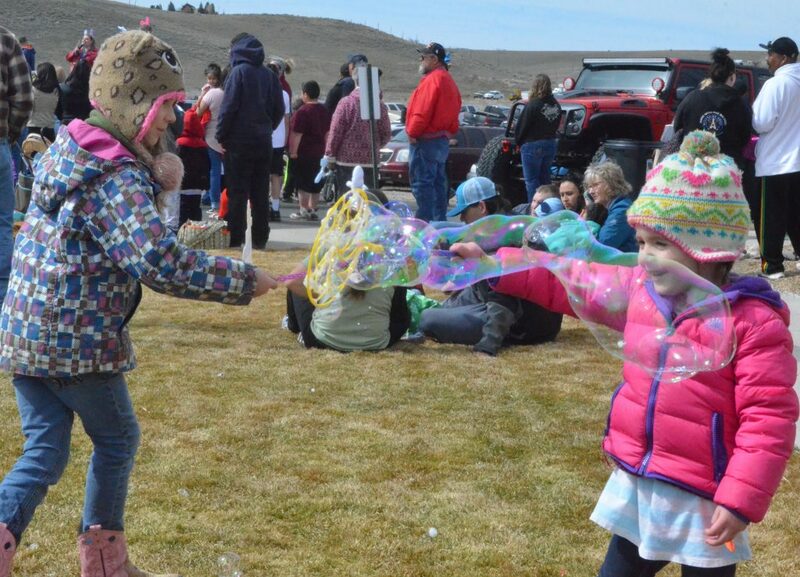 Publisher Renee Campbell and Advertising Manager Sheli Steele said they were excited to be able to host the event — the first time the newspaper has held a ceremony as part of Best of Moffat County — in a larger venue such as the museum. Likewise, museum staff is looking forward to it, Steele said. Among the categories that make up Best of Moffat County are food and drink, health and fitness and services and shopping. Additional tickets are available for the ceremony for $7 and include one drink per admission. For more information, call 970-875-1782 or email ssteele@craigdailypress.com.